If scientific, result based coaching is what you need, let us help you take your training to the next level. When time is tight you need proven strategies to make the best use of your time. USAT and USAC certified cycling and triathlon coach and Physical Ttherapist, Tricia Davis can build a simple and effective plan to reach your goals while preventing injuries. 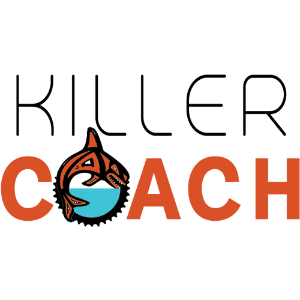 Killer Coach is committed to making your plan work for you. You have unlimited access to your coach, with multiple plan edits, creative workouts and close oversight of your progress. Tricia Davis, PT, is a hyperkinetic, Canadian trained physiotherapist and athlete and certified cycling and triathlon coach. Good at seeing the big picture, she is able to focus on the most important specific details for you to achieve success. Tricia thrives most in helping those with limited time by providing evidence based training and skill acquisition in order to make training the most efficient way to attain goals while reducing risk of injury. Tricia enjoys working with athletes in all phases of their development from new racers to accomplished pros. Triathletes, cyclists, endurance athletes will all benefit from Tricia's comprehensive approach. Anyone looking for smart, coordinated, scientifically based training should call and see if we would be a good team. Coaching requires a team approach and I'd love to be part of your success. Success. Coach Tricia Davis has been notified of your message.